A lovely positive little week; these weeks make me smile! 1. I was so happy when these prints arrived! 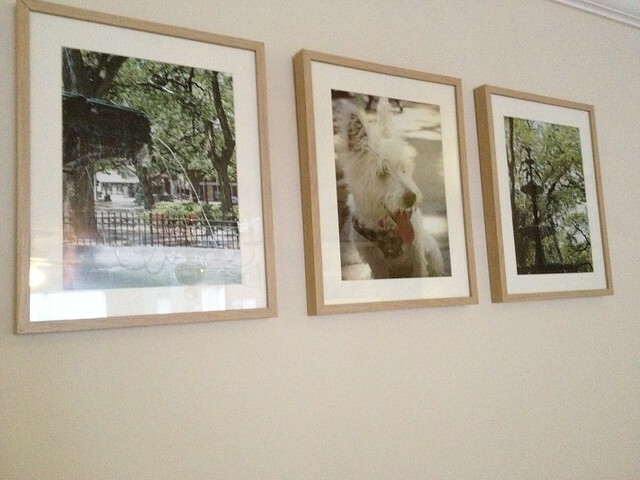 Maisy features in one and the other two are of Downtown Mobile,AL. 3. We have cushions and wall decor! We are collecting vintage licence plates and pennants from the states we have visited; the licence plate collection is better as pennants are hard to find! 4. 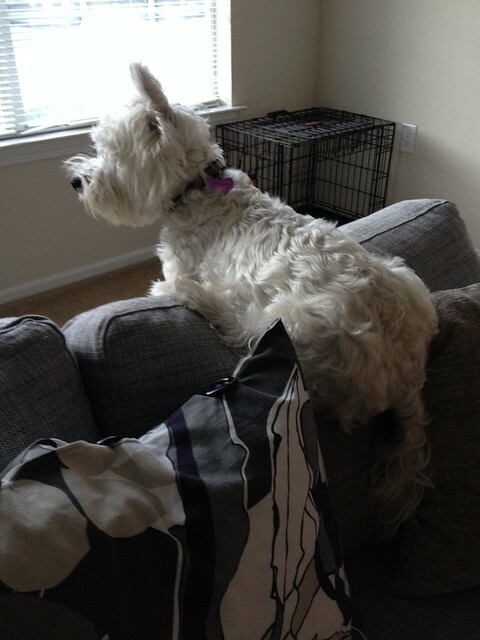 Maisy has shifted into a perch for watching out of the window now – I really don’t know how she balances there! 5. We went out for lunch and ended up stuffing ourselves to the brim because the portion sizes were huge! 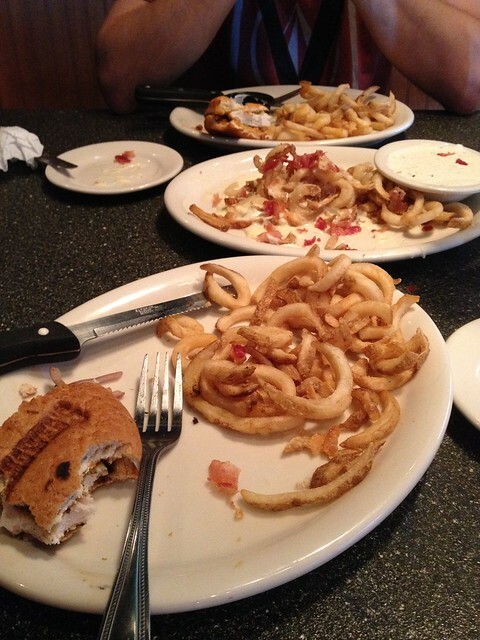 Here are our leftovers from gooey fries & chicken sandwiches. We did get ‘to go’ boxes though and had the rest for our dinner. 6. 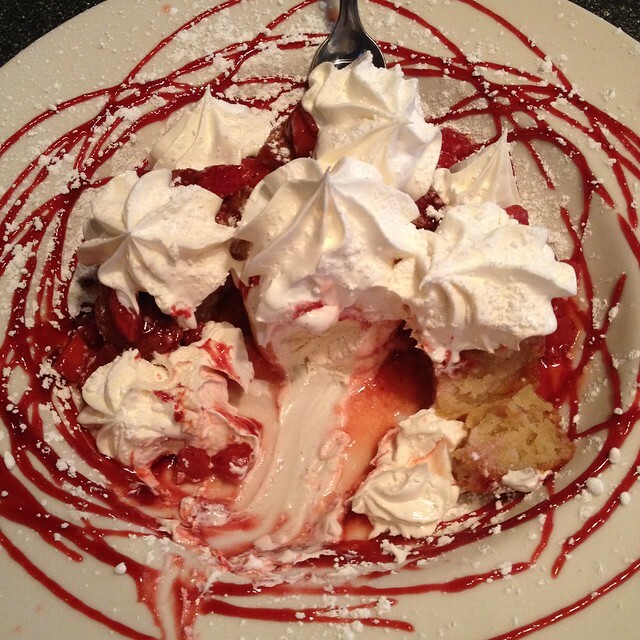 And I couldn’t resist a strawberry shortcake dessert…which was yummy but it wasn’t what I expected! I thought shortcake would be similar to shortbread but it was more like a doughnut! 7. Yesterday we finally decided to try a pizza place that has really good reviews. We picked up a cheese pizza for $5 and it was delicious! 🙂 Back to healthier eating next week! Haha sorry we don’t help with your cravings! This week has ‘some’ healthier options for you! Haha! Still not sure what I think to shortcake; I did eat it but I think I found it a little strange when I ate the leftovers! What a nice week. 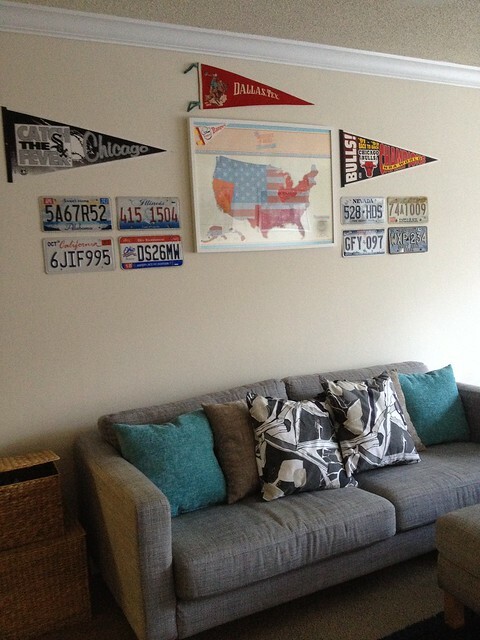 Love your pictures and wall decorations. Big portions on those plates. Maisy steals the show though! Thank you! Yes I find all meals out have huge portions; almost always enough to bring home for another dinner! Yes, it’s amazing how homely it feels now 🙂 Haha I’m trying to be healthy but EVERYTHING is tempting! I think she has her balance perfected as she’s sat in the same position even more throughout this week too! What a great way to record your travels to different states! 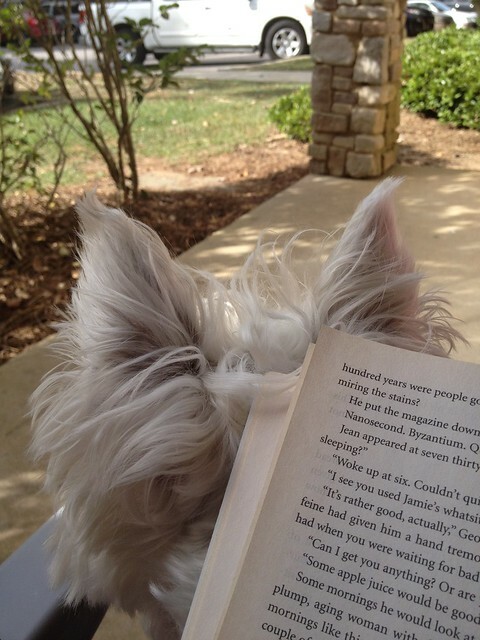 Those pictures are lovely and could not help but peek at the book – what are you reading? Thanks, our map in the middle is a scratch off state map too 🙂 I love it! The book is “A Spot Of Bother” by Mark Haddon – have you read it? No because I didn’t get through the incident of the dog in the night time, but its on my to read list! would be interesting to hear what you think of it. Thank you 🙂 I think it looks smooch better now – Maisy’s photograph is my fave! Well done filling the walls – my husband keeps complaining it looks like we’ve only just moved in because we can’t get our act together over putting stuff up. Don’t suppose you got a to go box with that strawberry short cake, so you can pop it in the post? We moved in here back in April so it has taken us a while too! It’s ‘almost’ finished! Ha! The license plates and banners are a great touch! Love little Maisy on her perch. 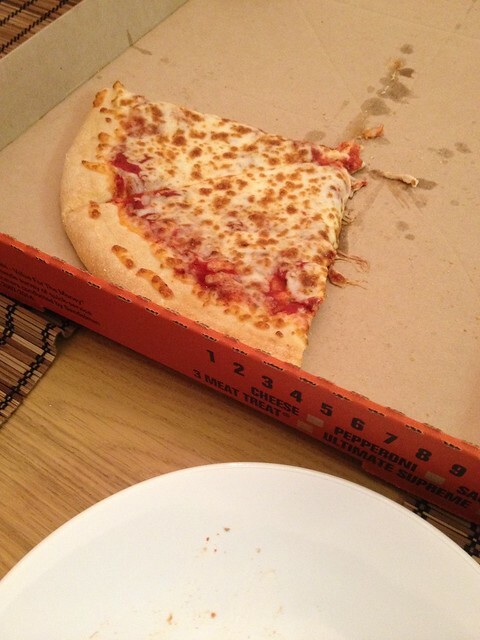 A very tasty week you’ve had…..and why is it we never tire of pizza? Or is it just me? Ooh ooh I’m on your Pinterest!! Thank you 🙂 I’m feeling hungry after reading this post! That’s ok – hopefully you’ll be on every week!